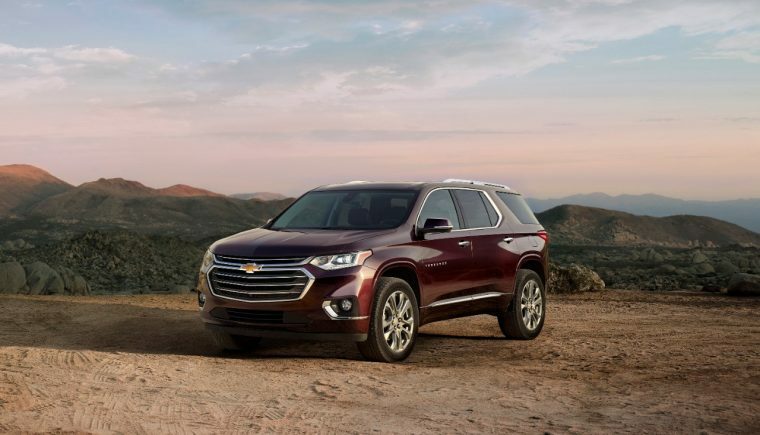 As a full-size SUV, the 2018 Chevrolet Traverse is the perfect family vehicle. With capable seating for up to eight passengers, your entire family can Find New Roads together. Everyone can sit in comfort, with best-in-class third row legroom and maximum cargo and passenger volumes. Plus, with advanced safety features like available Front Automatic Braking and a standard rear-view camera system, you can rest easy knowing the Traverse has your family’s best interests at heart. The 2018 Chevrolet Traverse is available in six trims: L, LS, LT Cloth, LT Leather, Premier, and High Country. 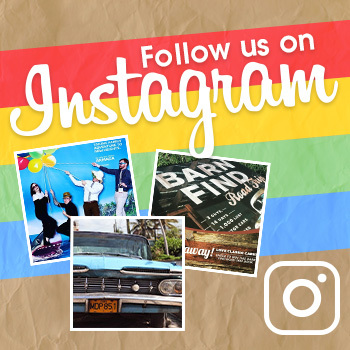 Celebrity Rides: Which of your favorite celebs drive a Chevy? 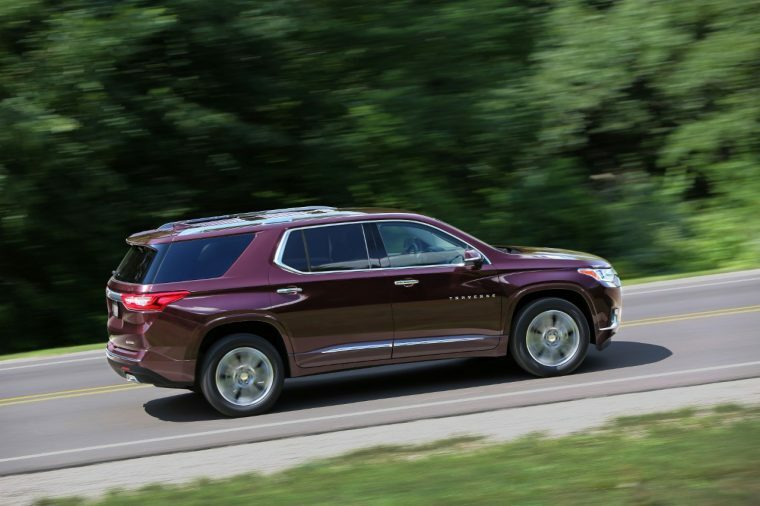 What’s New for the 2018 Chevrolet Traverse? 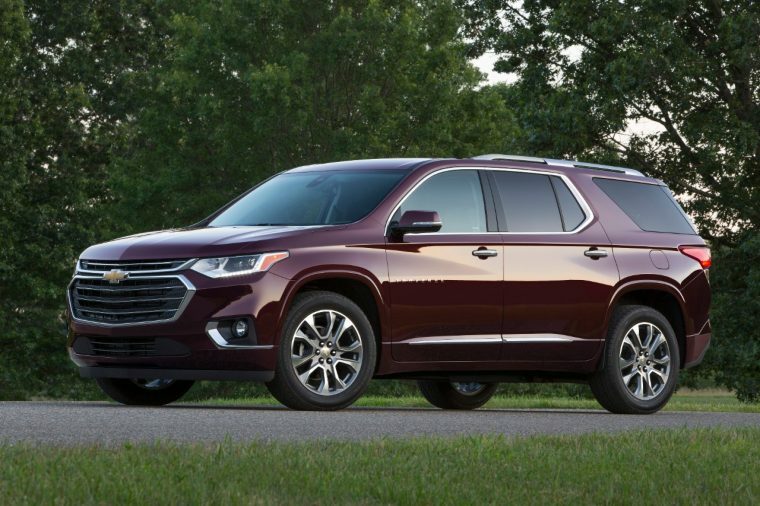 The Chevrolet Traverse’s exterior has received a makeover for the 2018 model year, with a body structure inspired by Chevrolet’s line of full-size SUVs. This year’s Traverse also comes with two additional trim levels, RS and High Country, when compared to last year’s model. On the inside, drivers can expect all-new split-folding second-row seating and a new Traction Mode Select, standard on all models. 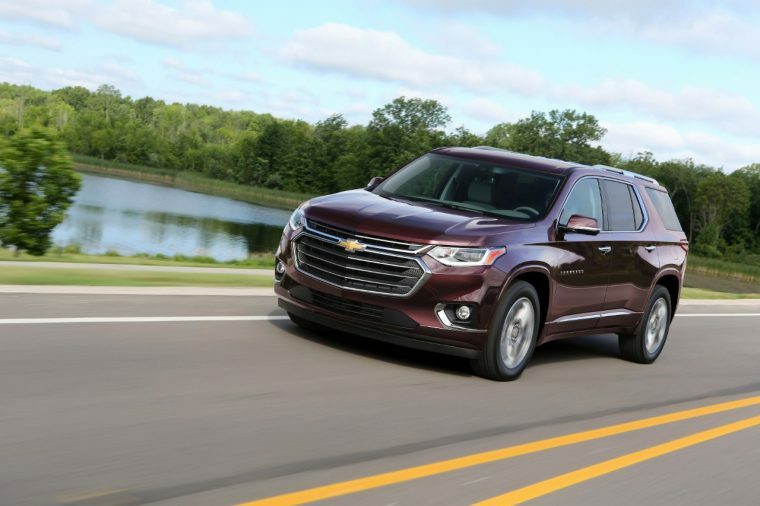 Sculpted as a full-size SUV, the 2018 Chevrolet Traverse takes a lot of inspiration from its smaller siblings. Its contoured edges and sloped roof slim down the three-row SUV. To help with maneuverability, the 2018 Traverse comes with several visibility features, including heated, power-adjustable, and manual-folding outside mirrors with available auto-dimming technology on the driver’s side. The SUV also comes with LED Daytime Running Lamps and High-Intensity Discharge (HID) headlamps for optimum visibility at any time, day or night. 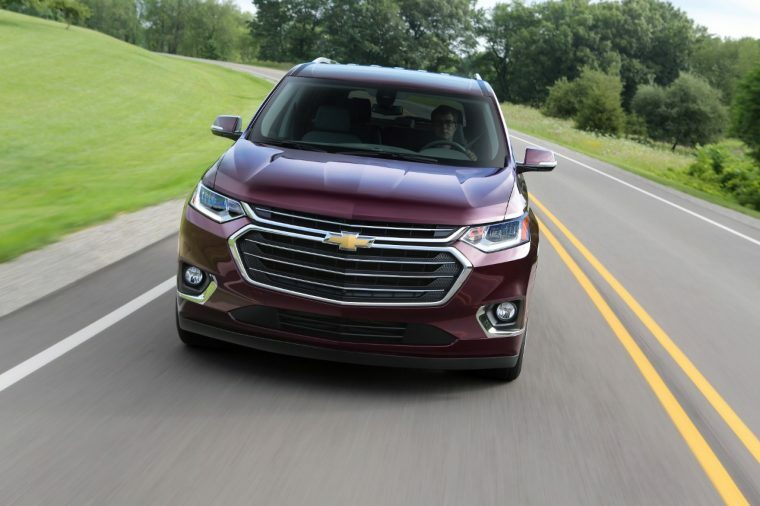 The 2018 Chevrolet Traverse offers streamlined performance across its six trim levels. Its 3.6-liter V6 engine is paired to a nine-speed automatic transmission, earning the Traverse an impressive 310 horsepower and 266 lb-ft of torque. All trim levels come standard with front-wheel drive (FWD), excluding the High Country, which comes standard with all-wheel drive (AWD). All other trims are available in AWD. EPA estimates are not yet available for the 2018 Chevrolet Traverse. 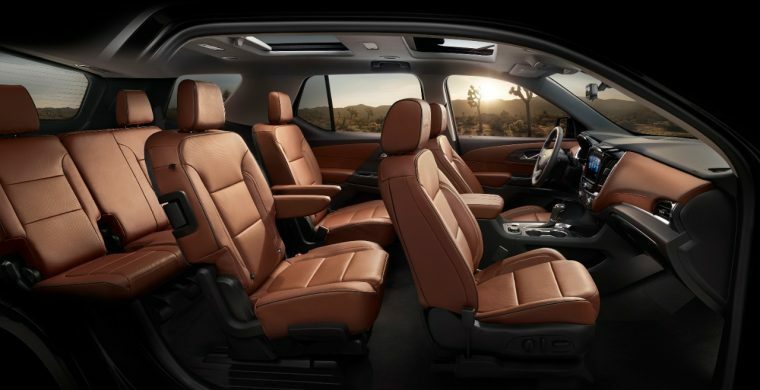 With three rows of seating for up to eight passengers, the 2018 Chevrolet Traverse offers an interior unlike any other. With best-in-class third-row legroom, maximum cargo, and passenger volume, drivers can expect the very best from their Traverse; with available third-row power-folding 60/40 split-bench seats, you can customize your seating and cargo at the touch of a button. Plus, this full-size SUV offers luxurious interior options, including available leather seating, heated and ventilated front seats, and a heated steering wheel. With the latest advanced safety technology, Chevrolet has equipped the 2018 Traverse with the tools to help keep you and your family safe. With an OnStar® Basic Plan for five years, there is always someone there to help. Plus, the new Traverse comes with Teen Driver, a program that allows parents to monitor and regulate their teen’s driving, even from a distance. Parents can set speed limitations, radio volume restrictions, and more at the touch of a button.